I love a big pot of homemade soup to fuel my soul and nourish my body. The best part is you can't mess it up. Making soup is easy, delicious and always delivers more than nutrients to your body. Soup can be your soul food and help you feel vibrant and full of energy! 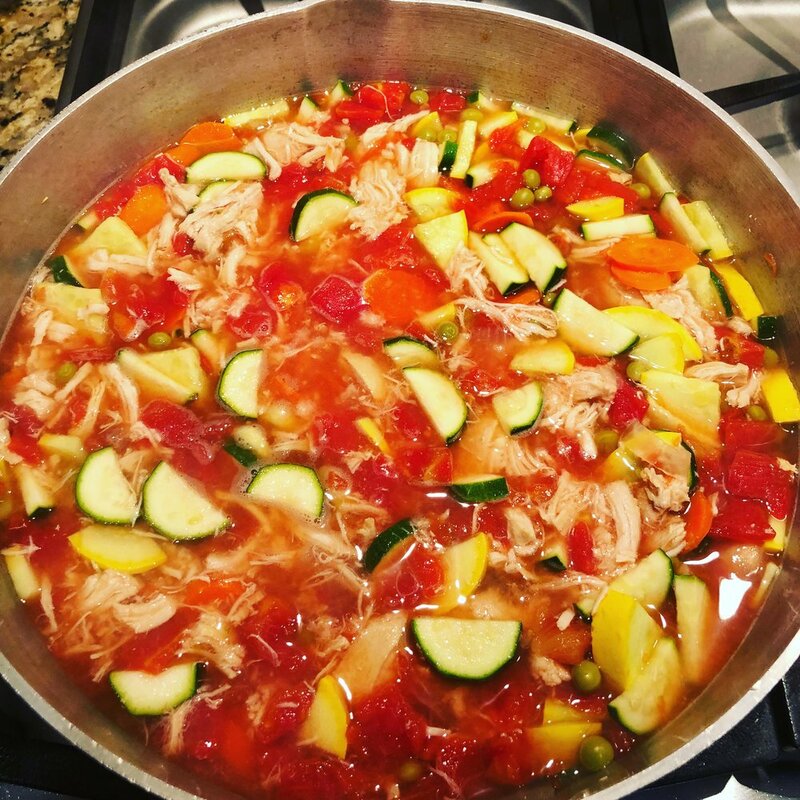 I will share one of my favorite recipes with you, my chicken vegetable soup. Now if you want to get the full affect and benefits of this soup follow my instructions. First, put some music on you find relaxing and connect with. This starts the whole process off just right. I like to bake my own chicken in organic broth, onion and a little salt and pepper. While that is cooking I prep my veggies for the soup. I slice carrots, yellow squash, zucchini, and broccoli. I use organic chicken broth, organic diced tomatoes and dump that in a big pot. I add my vegetables and use a little salt and pepper. After the chicken is done I shred the chicken and add it into the soup. You can always add a little rice, quinoa, or pasta if you want. Most of the time I just like the veggies and chicken. Let this simmer on the stove until the veggies are tender. While the soup is simmering this gives you the perfect time to fuel your mind before you fuel your body. Take time to meditate, stretch, do a yoga flow, take a walk outside, connect to your breath. Deep breathing is relaxing and calms the mind. Listen to something positive or write in your journal. Just take a little time to do something you love, slow down and feel what your body really needs. Enjoy your soup down to the very last drop. Be thankful you are taking care of you. As you fill your stomach, fill your heart with gratitude, you are amazing and deserve to feel good. You are what you eat and eating healthy is about listening to what your body needs, loving your body and practicing self care. Making soup is one of my self care rituals that fills me up. You will find soul food just the right fix for reducing stress, improving your mindset and fueling your body well. This week make yourself a big pot of soup and share it with a friend that needs a little love.